In November 1943, while on war patrol in the Makassar Strait, the USS Billfish submarine was spotted by the Japanese, who launched a vicious depth charge attack. Explosions wracked the sub for fifteen straight hours. With his senior officers incapacitated, diving officer Charlie Rush boldly assumed command and led key members of the crew in a heroic effort to keep their ship intact as they tried to escape. Now, in War Beneath the Waves, this intense story is finally told in all its harrowing detail. 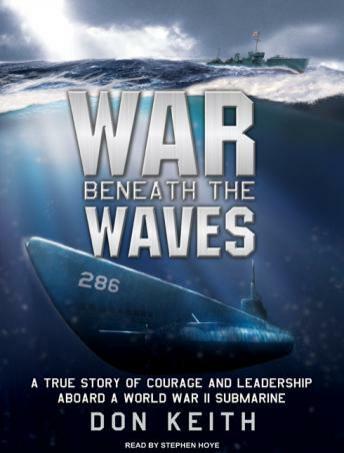 It is an inspiring tale of one man's leadership and courage under fire, and of the remarkable efforts of a submarine crew to do their duty and save their ship.